It feels so strange that this is my final post in this series. It seems so strange that this is the end of the series. 28 days has gone so fast! 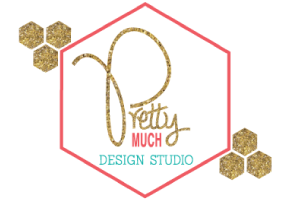 To end the series, I want to share another little business here in Lehi, UT with you. My husband and I had been out and about running errands and taking care of some important stuff (aka boring stuff grownups have to do that we wish we didn’t) and we got some pretty great news that put us in the celebrating mood. Now, when I want to celebrate there are two things I do: 1) I go to Dippidee, or 2) I eat ice-cream! That particular day I was in the mood for ice cream, so I made the Mr get out his smart phone and look up a good ice-cream place. The first place that popped up was a fast-food chain that serves some pretty amaze-balls shakes, but I was in the mood for some thick and creamy ice cream, so that was out. The next place was one I had never heard of, Mia’s Italian Ice! 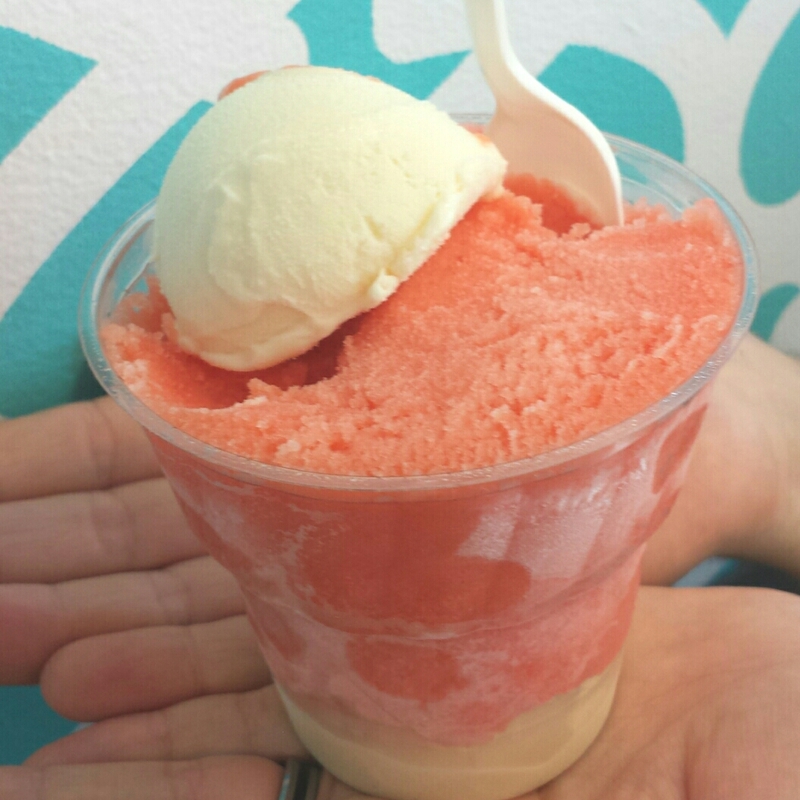 Okay, okay, you are probably going to think I’m nuts, but I had no idea what Italian ice actually tasted like. I was kind of hesitant, but the next place on the list was 10 minutes away in the opposite direction and I didn’t really feel like driving all that way either. Yup, I’m lazy, and driving is still no fun for me after having my surgery. So, Mia’s it was. The great news was that I was completely impressed with this little shop from start to finish! The moment we walked in the door we were greeted with a smile by the owner who obviously loves his shop and loves what he does. His face lit up with excitement as he explained how he makes everything from scratch. Then came the samples…. and we finally made a choice on what treats to order. They were amazing! This is a new favorite place to go, and I’m recommending it to everyone for any occasion whether they are celebrating a summer afternoon or a wedding, Mia’s is perfect! 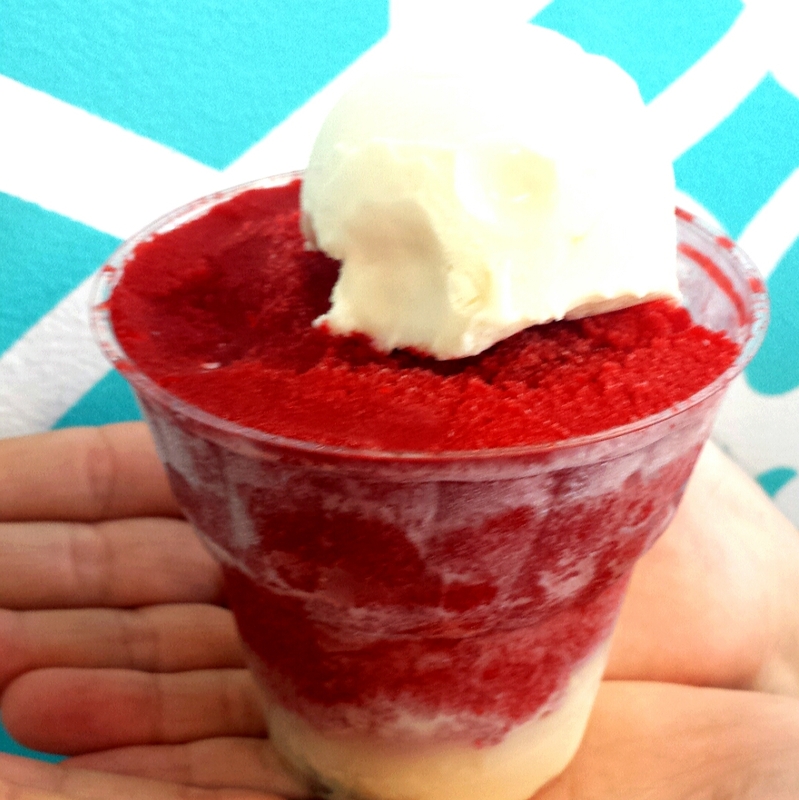 Not only do they offer Italian ice, but they offer custard which they make right there, cakes, and custard cakes. Word around town is that with the falling temps, they are even offering gourmet hot chocolate! Score! Seriously, if you are in the area, you cannot miss this place! Today might be the last day of the series, but don’t think for a second that I’m going to leave this subject alone. Stay tuned for some more happiness, more celebrating, and upcoming announcements, and don’t forget to continue checking in at Sarah’s blog. I know that even though this fun series is over, she has a heart of gold, a creative spirit, and a lot of amazing ideas that will be sure to become great blog posts for your reading pleasure!